Identity theft happens more than just someone dumpster diving through your garbage. It’s easier to do so online via Bluetooth technology and unsuspecting Wi-Fi users. 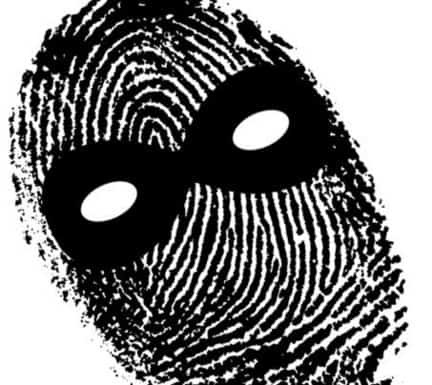 Here are four tips to preventing identity theft online. If a password is an option or required, use it. Be sure to create a hard to guess password, avoiding birthdays, your social security number, or anniversaries. Create a strong password including special characters, upper and lower case letters, as well as numbers. Try to have a different password for each website you log on to. To keep track, download password manager software so you can have one main password to access all sites. This prevents any hackers from tracking your keystrokes on the individual sites. There is more to be cautious with when opening your email than just virus filled downloaded content. There are links embedded in the email stating to follow them to go to your financial institution’s website that are just phishing for information. Ensure you know the company that is sending you the email. If the email states it’s of an urgent nature, contact the customer service number provided on your statement to verify the email is from them. Be careful when using public Wi-Fi networks such as in a coffee shop or local library. These are not secure and leave your network open for attack and identity theft. Logging into your bank’s portal or Facebook account on a public network make it easy for a hacker to jump into. If it’s a service you must log in using your password or you have sensitive information on your laptop or other smart device, just wait until you are back on your secure network before proceeding. In addition to guarding yourself when accessing public Wi-Fi, you also need to safeguard your private network at home. Hackers can drive by or set up shop down the street from your home. They can access your computer’s private information and steal your identity in minutes. Ensure your network password has been updated from what you were originally assigned. Also, change your wireless network default name to something random. Follow the above four tips to ensure your personal information remains that way. You can find additional tips about safeguarding your online activities here. Although it may seem tedious and unnecessary in the beginning, your financial future depends on it.